Anorexia nervosa (AN) is a debilitating disorder with the highest mortality rate of any psychiatric illness. From an evolutionary standpoint, AN is a paradox. Humans have evolved to survive famine through biological adaptations that limit energy usage when food is scarce and promote feasting when food becomes available. With the current abundance and ready availability of energy-dense foods, coupled with the modern sedentary lifestyle, this evolved bias towards a state of energy surplus has led to the burgeoning obesity epidemic. Patients with AN live within this same environment, and yet they are able to willingly starve themselves, limiting food intake to the point of emaciation and often death. Despite this emaciation, the majority of patients with AN also exercise excessively, exacerbating their negative energy balance and weight loss. Thus, the paradox of anorexia nervosa, which begs the question: how are patients able to overcome this biological drive towards energy surplus, and why does it occur to such a maladaptive degree that culminates in a state of severe energy deficit? While there is only one reason we need to eat, hunger (the physiological signal to maintain energy homeostasis), the predominant reason we eat (at least in excess of requirement) is because we want to. We want to eat because eating activates the reward centers in the brain which we experience as pleasure. In healthy individuals, the pleasure we get from eating, and the motivation (the want) to obtain this pleasure easily overrides other signals (e.g fullness) and desires (e.g. weight loss) to cease or limit consumption. Therefore, there are two aspects of feeding behavior that may be disrupted in patients with AN: the ability to derive pleasure from food and the motivation to obtain this pleasure. In order to investigate how pleasure and motivation interact in AN, beyond the explicitly human influences of social and psychological pressures to be thin, we turn to animal models. 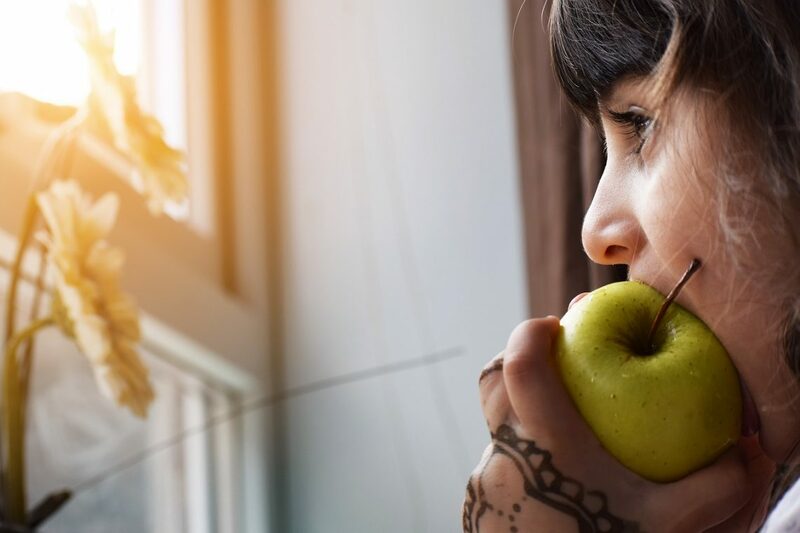 Even though animal models may not mimic all aspects of human eating disorders, they can provide useful information on underlying causes and treatment of at least some of the symptoms. To this end, we have exploited a phenomenon in laboratory rodents known as activity-based anorexia (ABA), which is founded on the observation that wheel running activity paradoxically increases in response to a time-restricted feeding schedule, despite substantially decreased daily caloric intake. The ABA model thus recapitulates many of the pathophysiological and behavioral hallmarks of the human condition. Body weight loss in rodents after exposure to the ABA paradigm was once considered to be inevitable, that is, all animals become anorexic and lose a large proportion of their body weight. In our recent study, we revealed that roughly one-third of female rats were resistant to pathological body weight loss and even showed spontaneous weight gain while still exposed to ABA conditions. This finding, while surprising, opens the door wide to examine factors that prevent susceptibility to body weight loss and may even provide clues for improving therapy in human AN. As expected, we found that rats resistant to body weight loss ate more food and engaged in less compulsive running activity during food restriction, contrasting with the characteristic ‘starvation-induced hyperactivity’ exhibited by rats vulnerable to the ABA paradigm. But does this increase in food intake reflect an increase in the hedonic (“pleasure”) value of food? Or an increase in the motivation to eat? To make this distinction we examined aspects of both pleasure and motivation in rats that were either susceptible or resistant to body weight loss. Perception of pleasure in rats can be determined by whether they prefer to drink sweetened water over regular water, and motivation to eat can be inferred from a phenomenon known as food anticipatory activity (FAA), which is an adaptive foraging behavior demonstrated by rodents in the laboratory and in the wild. Our results showed that for the majority of rats, regardless of whether they became anorexic or not, preference for sweet water over regular water did not systematically change with weight loss, suggesting that body weight loss in ABA is not driven by a lack of pleasure associated with feeding behavior. In contrast, the motivational drive to eat during food availability was elevated in rats that were able to maintain their body weight under ABA conditions and impaired in rats that developed anorexia. In other words, our data show that it is not the capacity to perceive the rewarding value of food, but rather a diminished motivational capacity to want to eat that results in the pathological body weight loss that typifies the ABA model. Moreover, the discovery of individual variability in susceptibility to ABA can now be exploited to interrogate a broad range of biological and behavioral features (or “biomarkers”) that predispose rats to ABA. Establishing biomarkers for a disease has the potential for great impact on human health by way of early detection and diagnosis of AN, which may aid in the prevention of this debilitating eating disorder. These findings are described in the article entitled Evaluating anhedonia in the activity-based anorexia (ABA) rat model, recently published in the journal Physiology & Behavior. 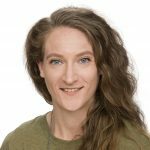 Laura Milton is a graduate student in the department of physiology at Monash University and is interested in evolutionary biology, exercise physiology and feeding behaviour. Her current work seeks to identify the neurobiological factors that underlie the maladaptive exercise and feeding behaviours present in anorexia nervosa. 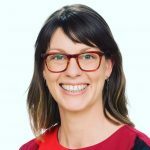 Dr Claire Foldi completed undergraduate degrees in Psychology and Neuroscience at the University of Queensland and obtained her PhD in Behavioural Neuroscience from the Queensland Brain Institute in 2012. Following Postdoctoral training in electrophysiology at the Karolinska Institutet in Stockholm, Sweden, she was recruited to the laboratory of Prof Brian Oldfield at Monash University in 2015. Claire's current work focuses on the impact of specific neural pathway activity on behavioural measures of reward and executive control and the development of activity-based anorexia in rodents. She is also interested in exploring neurobiological, behavioural and physiological factors that predispose individuals to disorders of reward-based feeding including anorexia nervosa and obesity.